Mike Girardin is creating Comics, art and more! 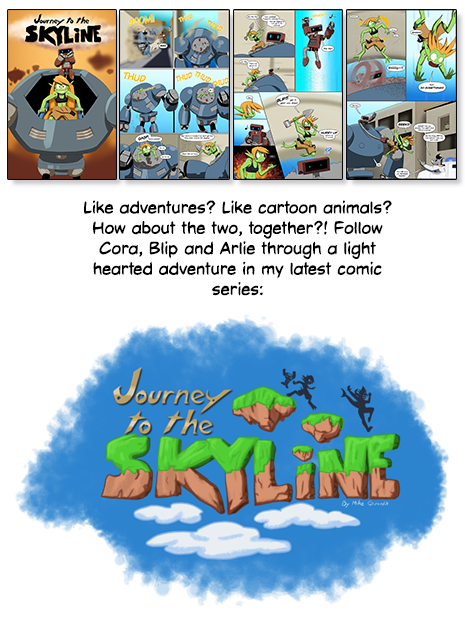 I'm Mike Girardin and I created the comic series Antares Complex and Journey to the Skyline. Antares Complex has been going since 2011 and my latest comic; Journey to the Skyline has just started in 2018. I have made a new full color comic page every week, by myself for nearly a decade (with small breaks between each issue). That's over 250 pages, tons of art and fanart on the side. With Patreon I aim to let readers and fans help fund the comics, my art that I've been making for years. But that's not to say patrons won't get something out of this, this is not just a tip jar! -Exclusive looks at the pencil work/sketches for each page & artwork. -Thank you on the currently running issue of Antares Complex & Journey to the Skyline as well as your name/alias on the donator page on the website! By becoming my patron you'll get to see the next page for both Antares Complex and Journey to the Skyline EARLY as well as any art I have created (comic art, fanart or otherwise!) as well as stream recordings. You will also gain exclusive access to some artwork. Before someone gets upset: This is not a paywall, no comic page is gated off, it's strictly for early viewing & supporting me. Only some art will be exclusive to people who support. 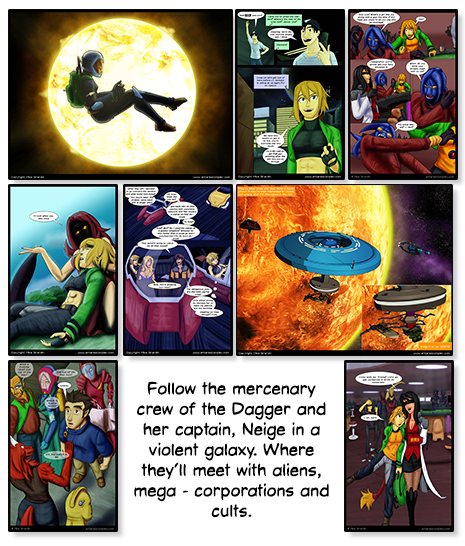 -Early access to Antares Complex & Journey to the Skyline comic pages. -Early access to any art, fanart, etc. -Early access to live stream recordings and any other videos I do! -Exclusive access to some artwork. -Exclusive high res versions of my art. For nearly a decade I have updated Antares Complex weekly and I want to continue to do so along with Journey to the Skyline. By becoming my Patreon you'll give me more financial means to focus on making comics and art and my other art projects more. For you? You can get early comic page updates as well as my other art projects as well as a shout out in the current running issue of both comics and on the donator wall on the official websites! Thank you for looking and considering funding me. If you have other ideas or something you might want to see for supporting or if you just like what I make; please message me on twitter or by email and let me know! A salute to my supporters and my thanks! 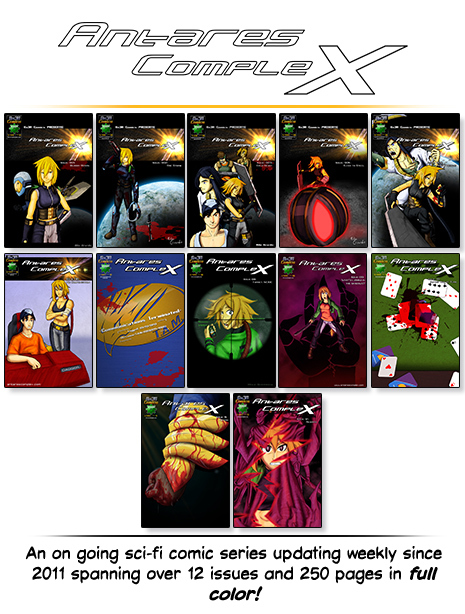 -Exclusive access to sketches of comic pages and artwork! -Your name/alias on the supporters page in both comics and on the main sites! -Early looks to comic pages, artwork and art-stream recordings! -Exclusive access to high res artworks! I will make shirts of Journey to the Skyline & Antares Complex!